(1) Thread the tail into the head of the cable tie. (2) Adjust the wheel to the required tension for the cable tie. (3) Place the tail and shaft of the cable tie into the solt at the tip of the gun barrel. the gun tip outside the tool. head of the tie is always touching the tip of the gun. (6) Keep pulling the handle until the tie is securely fastened around the desired object. 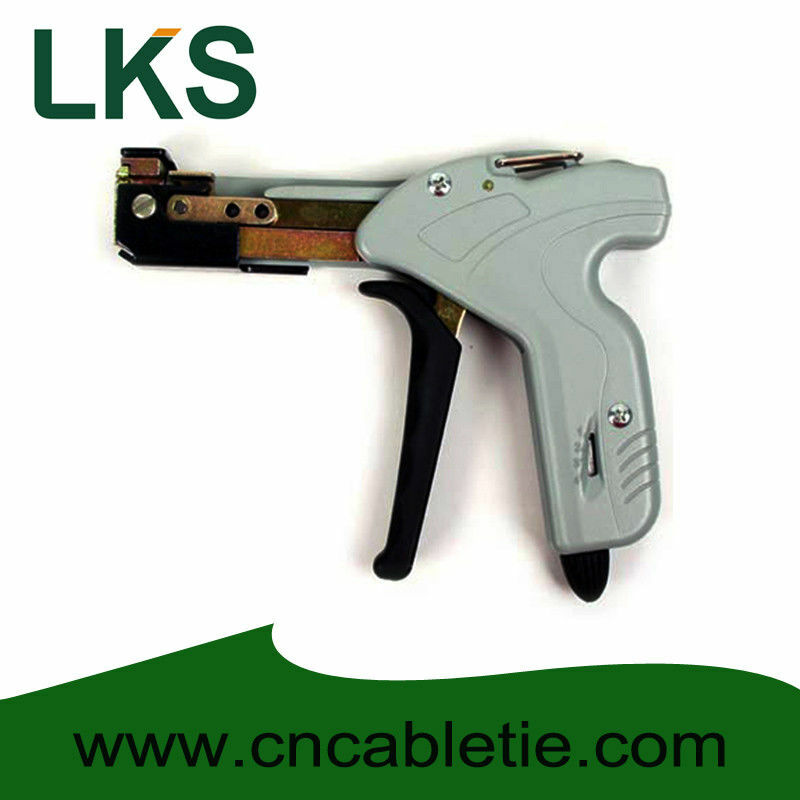 (7) The gun will automatically cut the excess tie off when it reaches maximum tension.